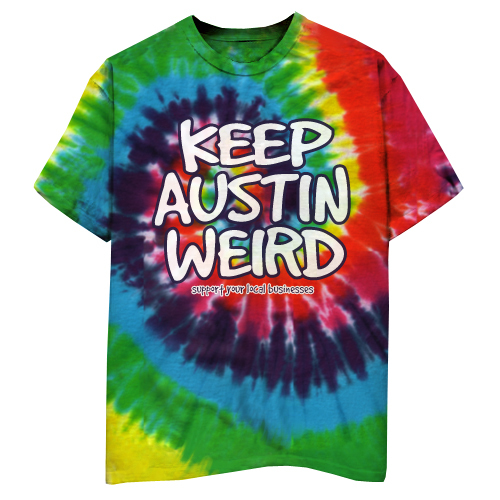 Keep Austin Weird Tricolor - Neon Heather Blue Shirt [5510TSNHB] : Outhouse Designs Screen Print T-shirt Store, Keep Austin Weird! With a 50/50 Poly-Cotton blend and fresh neon colors, our popular KAW Tricolor tees are even better! 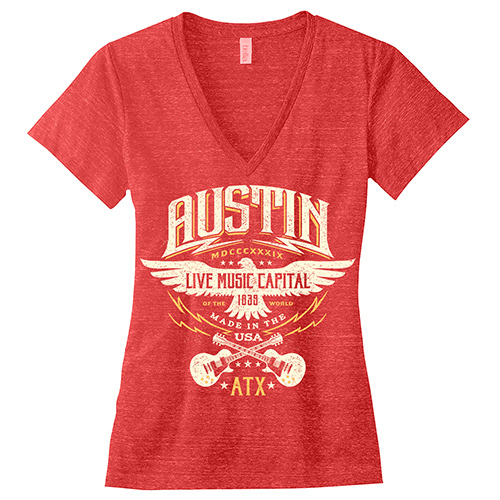 Front and back screen prints on an American Apparel BB401 tee make for a smooth, soft, and comfortable slim-fit shirt. Offered on neon heather blue.